Indoor cycles, also known as spin bikes, are the stars of exercise bikes and we want to bring them to the comfort of your home. Spin cycles try to recreate the feeling of outdoors cycling and that’s probably the reason why spinning is becoming so popular. The adjustable resistance levels on the spinning bikes allow you to bring the intensity of your workout sessions to another level. 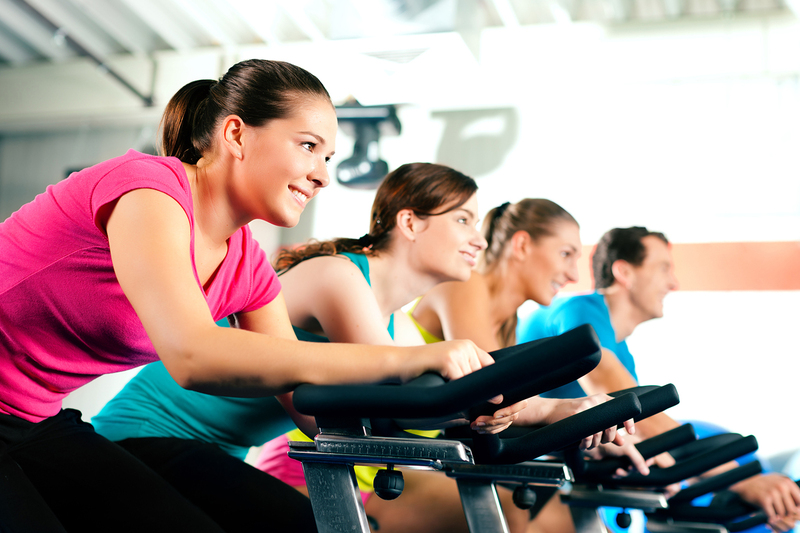 Indoor cycles are a highly effective cardio workout that can help you burn calories. In FitnessInn you’ll find indoor cycles that allow you to customize your every ride, from the height of the seat, to the pedals, the handlebars, and the resistance levels. It’s a type of gym equipment that’s suitable for any fitness level and that has proven to be successful at all fitness levels. Don’t forget you get free delivery on all your orders! Indoor Cycles, also known as spin bikes, are one of the most popular exercise cardio machines at the moment and probably the most used piece of equipment in gym fitness classes. Spin bikes operation is extremely simple and they make an excellent stepping stone for any training plan. The nature of this physical activity allows to workout without putting too much pressure of the hips, knees, and ankles. Because of adaptability and ability to change the intensity of its resistance system, spin bikes are considered an ideal sport for beginners, athletes, elderly or even people who are recovering from an injury. 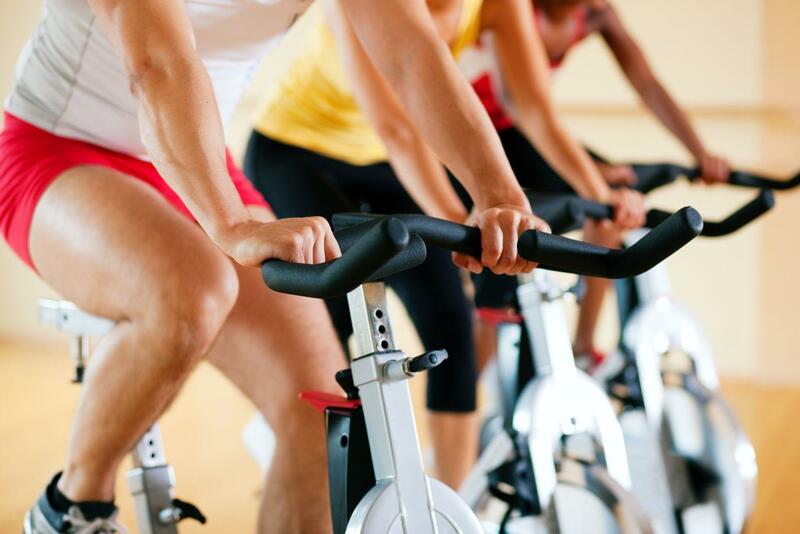 Indoor Cycling is an excellent cardio exercise that will help you burn calories. It is also an exercise that’s suitable for different types of users and has great benefits for your body like lose weight and tone your legs and buttocks. 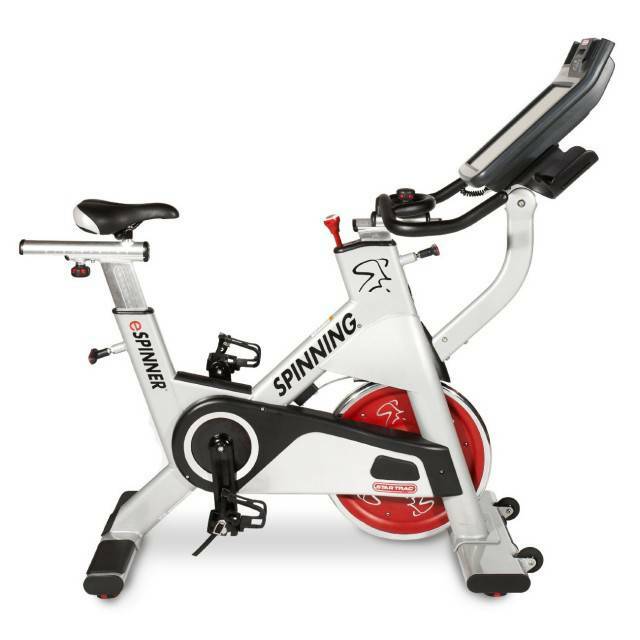 Before making any purchase, you should read carefully our buying guide for home spin bikes and indoor cycles so when you are browsing through all the available products you understand and know what to look for in a indoor cycling bike. What muscles does a Indoor Bike Workout? 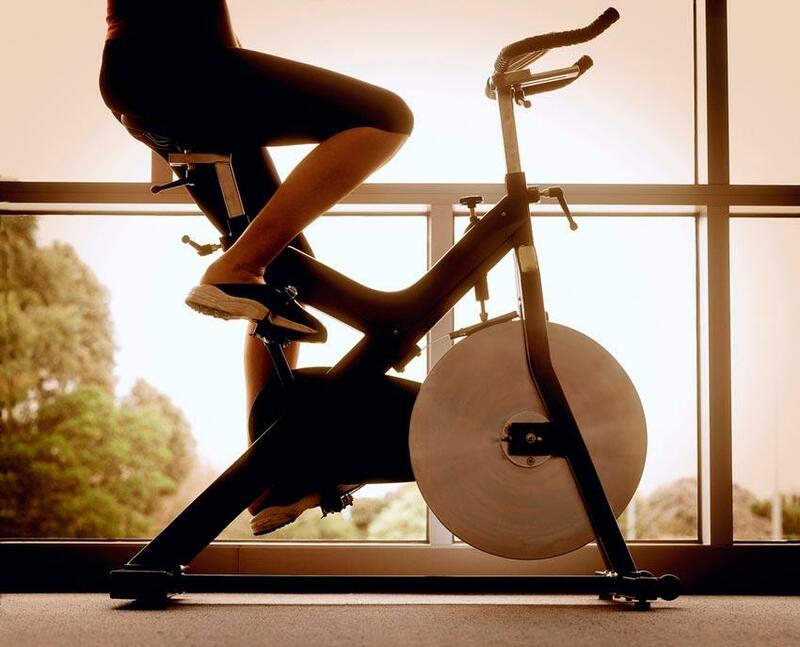 Burns calories: A 45 minute Indoor Cycling workout allows you to burn around 500 calories. Of course, the number of calories burned will depend on the intensity of the workout and the body / fitness level of the user. Tone muscles: The training will focus on the core muscles, the as well as on the buttocks and thighs. When you maintain the correct position on the indoor bike, you also work on the abdominal muscles. Reduces stress: while you are exercising the brain triggers endorphins that produce a feeling of euphoria. It is a low impact exercise: It does not put pressure on the knees and joints as other aerobic exercises do. Spinning training is also recommended for people suffering from arthritis. Increases cardiovascular fitness: Indoor Cycling is a good way to make the heart beat steadily, which helps improve cardiovascular fitness. Builds resistance. When you are working out your body is constantly pumping blood through the entire body and that improves the resistance of the heart and lungs. Variety: When you are sitting on a indoor bike there are an infinite number of ways in which you can challenge your body. Entertaining: You’ll always have the possibility of watching tv or listening to music while exercising, you can even find indoor cycles with TV Screens and Wi-Fi. What muscles does a Spin cycle Workout? The heart:. After all, spin bike is a cardio workout. Cardio is any type of workout that increases your heart rate and blood circulation making your heart stronger. Quadriceps: is the central muscle in the thighs and the most used during Indoor cycle training. Each time a pedal is pushed down, the quadriceps muscle acts. Hamstrings: are located on the back of the thigh. They play a supporting role to the quadriceps during exercise. After you force it down, the hamstrings help you lift the quadriceps so that it continues pedaling. The buttlocks: expand when one leg moves down and contracts to pull the other. This movement will help strengthen the buttocks and provide stability to the hips. Core. If the exercise is performed properly and with the correct posture, the abdominal area (the core) is also worked out. Price - How much to spend on an Indoor Cycle? Indoor bikes are still one of the most popular and affordable cardio machines. Why? Because in order to build a quality model the engineering you need is much more simple than for other gym equipment such as treadmills or elliptical bikes. In other words, the price - quality ratio of spin cycles is usually higher than other gym equipment available in the market. In addition, these cardio machines are really easy to use. All these qualities is what’s making spinning bikes grow in popularity. The price should be set taking consideration your goals and expectations of the bike. For example, if you are going to practice indoor cycling only twice a week, for a couple hours then you should probably consider a low end bike, and it’s not worth spending a penny more. If you are looking for a bike that monitors your progress, with a heavy flywheel, a dual sided pedal type, and a water holder then you should be considering spending a bit more. As it was mentioned before, spin cycle bikes are not an unaffordable piece of gym equipment. The most expensive bikes in our store range the £2.000 and £3.000. High range indoor cycling bikes and fully equipment and are a practically a guarantee for you to achieve for fitness goals. Those machines are the ones that resemble more the ones found in a gym. Another great choice are mid-range indoor cycles. These machines are considered semi-commercial and domestic machines for intense use. 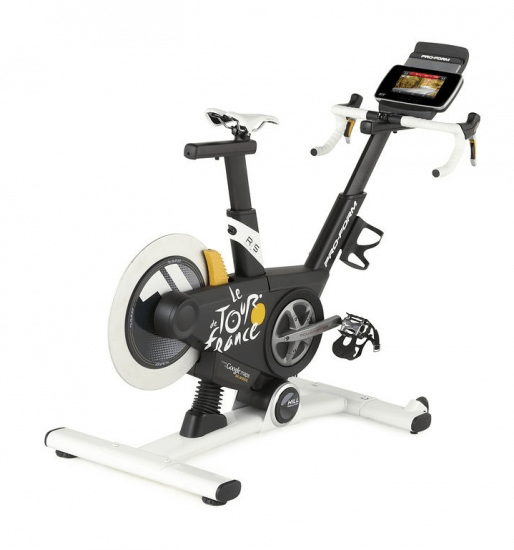 Mid range machines are between £2.000 - £800, like the Bodytone MT1 with magnetic brake or the Bkool Smart Bike, which is one of the most sold and prefered Indoor Cycle for home use. Finally, low end spin bikes range between £500 - £800. They are good for the purpose of a very simple and basic workout, on this range you can find the Bodytone EX1 Full or the Cybex IC1. Space - Where do I fit my indoor bike? This is an aspect that often overlooked but it’s very important. 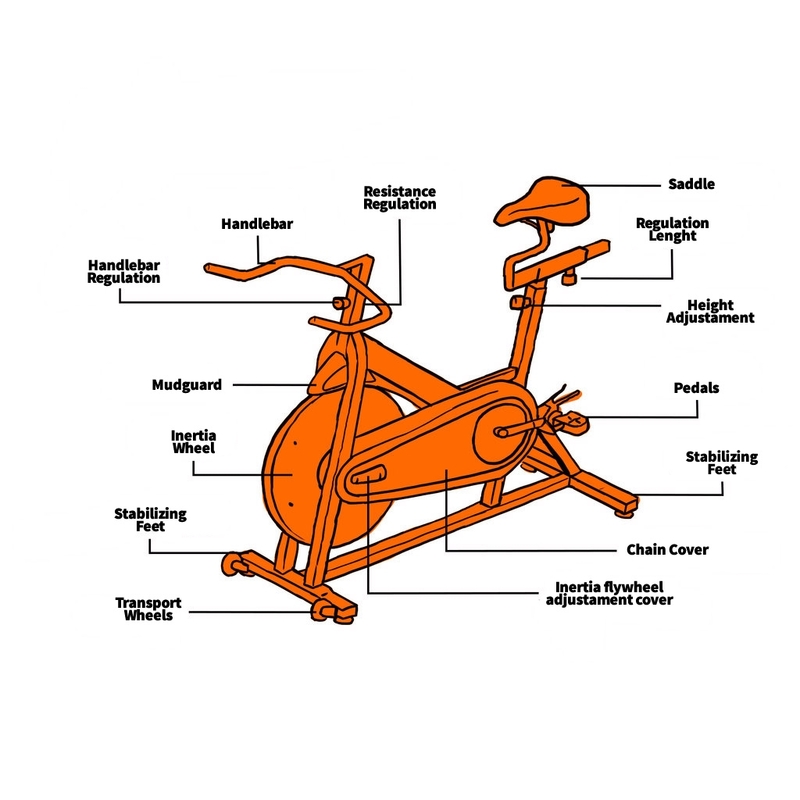 If you don’t have a lot of space then you should consider a folding indoor exercise bike. Folding spyn cycles are a practical choice for people with limited space and in addition they are easier to move around to clean. It is also important to take into consideration the weight of the machine. Both factors should be taken into account when buying your indoor cycling. The weight and size of each spinning bike is found in their respective product description. You should consider a different spin cycle model if your are buying just for one user or for your whole family. It’s also not the same if a person practices the indoor cycling 2 times per week or 6 times per week. The more users and the higher the expected cycling time the higher the range of the machine should be. Therefore, when buying a indoor cycling bike it’s important to keep in mind how often this bike will be used. Most Indoor cycling bikes use a magnetic resistance, which, even though is expensive, it allows the manufacturer to optimize the tilt and heart rate systems, to name a few. The mechanical braking is simpler, cheaper, and offers high levels of resistance but it needs heavy steering wheel in order to give an realistic pedaling feeling. The air braking system provides more immediate resistance to the pedal and provides a pleasant cooling breeze; However, it is not possible to vary said resistance without changing the pedaling speed. Height and weight: depend on the physiological characteristics of each person. The taller the user, the bigger the flywheel, the shorter the user, the lighter the flywheel. Physical activity: it depends on whether you practice indoor cycle regularly or not. The fitter you are the heavier the flywheel should be in order to provide you with a good workout challenge. Cyclist should get a heavy flywheel in order to mimic outdoors cycling. Flywheel of 13 to 15 kg: if your goal is to train occasionally to activate circulation or lose weight. This is recommended for users who don’t exercise regularly. Flywheel of 16 to 20 kg: if your goal is to exercise regularly in order to stay fit or even to complement your outdoors cycling workouts. This weight range in meant for users accustomed to exercise at least 3 days per week. +20kg: is meant for daily professional workouts. Vertical exercise bikes place the user in a conventional upright position, while reclining indoor bikes place him in a more horizontal position. The recumbents are also easier to mount and dismount but take up more space and generally have a slightly higher price than other cardio bikes. These types of exercise bikes does not workout the same way you can do it on a Indoor Cycling bike, but they are also a good alternative. Ideally, the feeling of pedaling should be smooth with any level of resistance, even at high levels and outside of the the chair. All models with a feeling of uneven pedaling should be avoid. The degree of usability of indoor cycling trainers is related to how easy and accessible is the information and the setting functions on the screen. In order to determine this, it must be taken into account how clear and complete the information shown on the screens is. And, of course, the ease of access to the bike programs (if they have them). These are key when it comes to offering variety and motivation to the user during their activity. A good indoor bike will allow you to monitor your heart rate during the workout. The more adjustable the bike, the more comfortable you will be, especially during long sessions. You’ll be able to adjust the seat height in every indoor cycling bike. It’s important you check whether the saddle or handlebar can move back and forth as well. In FitnessInn we offer a wide range of indoor cycle bikes with more than 150 different models for domestic and / or semi-commercial use. Browse through the most renowned brands such as Sole Fitness, Life Fitness, BH and many others. A well-padded saddle will improve the comfort of exercise and your personal well-being. Check that the frame is constructed predominantly of metal, that the welds are arranged and that the overall finish is good without sharp or rough edges. A solidly built indoor cycle bicycle will be stable. Bkool which specializes on high-end but affordable smart Indoor cycles.